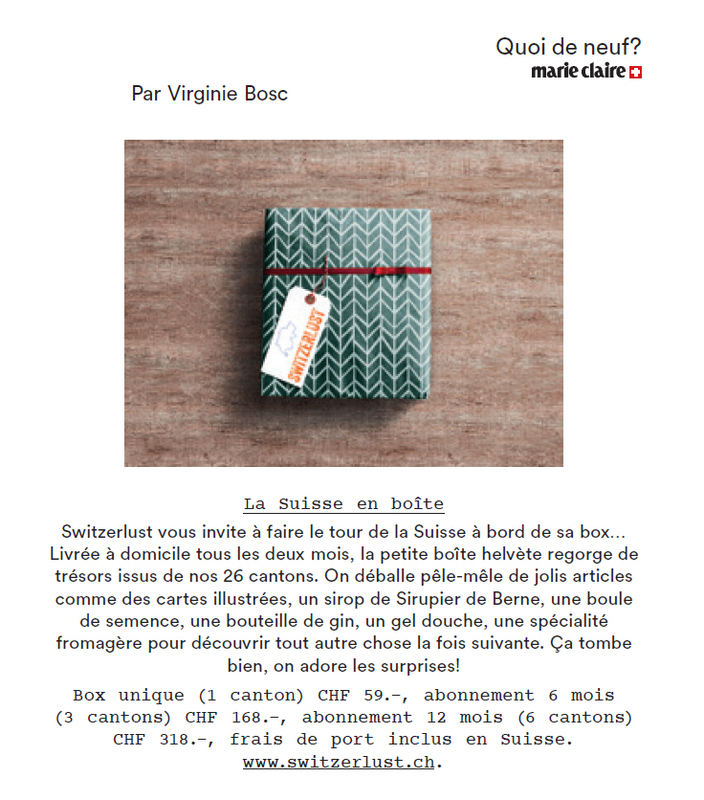 Every two months, Switzerlust invites you to (re)discover Switzerland through a box of original products designed on a small scale by producers, artisans and creators from a different canton. Looking for a gift? Ask for your Switzerlust voucher! While waiting for the upcoming delivery, why not offer a voucher for the box n°3 or for a subscription? Simply mention that you are offering it as a gift on the order validation page and we will send you a voucher that you can print at home and offer to the recipient in person. Don't miss out on the 3rd box! 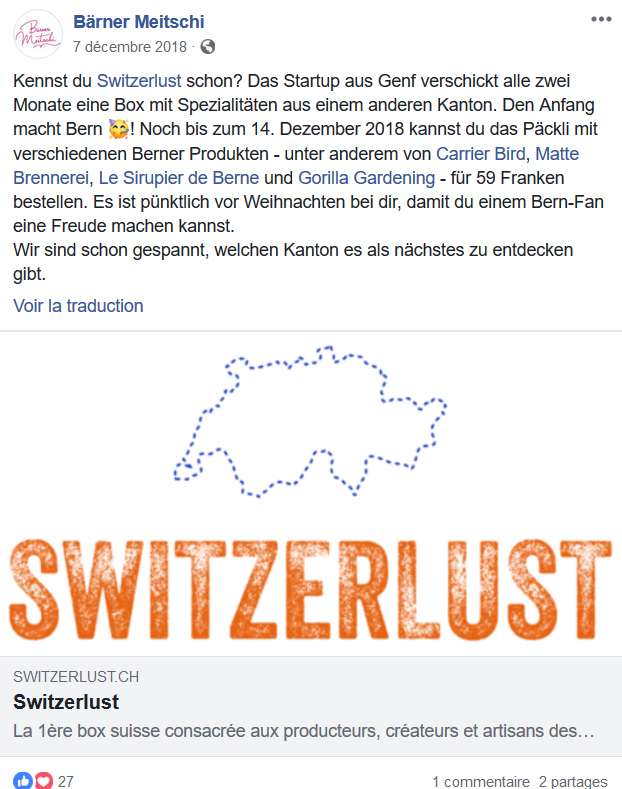 Switzerlust’s 3rd box is available! And the 3rd canton is… Jura! 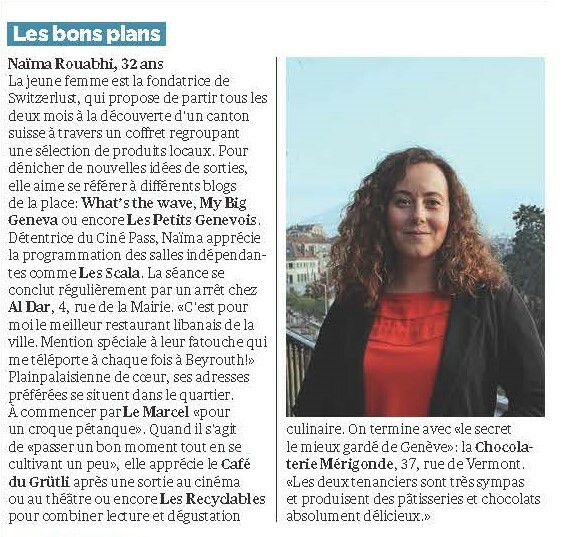 Jura is full of delicious surprises that Switzerlust looks forward to sharing with you! Its composition will be kept secret until delivery! You can order the box n° 3 until April 29th and it will be delivered between May 7th and 9th! To order it, click here! Here is a short video of my trip to St. Gallen in February 2019 for the 2nd Switzerlust box! What’s the story behind Switzerlust? The quality of the products is impeccable; the description of the craftspeople and of the products adds an essential dimension to their discovery and appreciation. Quality products which also enable Swiss people to discover their country. Keep going! I made 5 great gifts thanks to you and I was able to offer it to people aged 20 to 70 with the same surprise effect. Congratulations! I appreciate the decision not to limit yourself to discovering the (certainly much appreciated) food from a specific canton but also to discover the people who sustain it! They are talking about Switzerlust! Don't miss out on any of our discoveries and be notified when a new box is available when subscribing to our newsletter!